We are a Chapter within the Women In the Wind and are looking to promote the Women In the Wind first and our Chapter second. 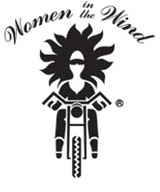 We will be looking for members to join our Chapter which will uphold the Bylaws of the WITW, yet being a relaxed Chapter which is here to facilitate women getting out to ride together while promoting a positive image of women motorcyclists. Also giving ladies an opportunity to be a part of the organization even if engagement is limited by distance, schedule or just where your life is at the moment! We are based out of Leduc and are looking to have members from the Millet, Leduc, Wetaskiwin, Pigeon Lake, Thorsby and Beaumont area; but don't let that stop you from becoming a member if you live outside the areas listed above. Our goal is to be a casual chapter who enjoys getting out during the riding season at least once a month and also maybe a couple times during the winter to just have some fun. There is no drama with this chapter, we are here to support each other and get together when we can, but never look down on members whom may not be as active in the chapter because they are busy with their lives or live a fair distance away. WITW is bigger than just our chapter and it is being part of this bigger organization that we want to emphasize. The dues are paid by members in Canadian funds and then the President or Vice President will send the entire chapters dues in to International in US Dollars as required. We don't hold regular scheduled chapter meetings, we try to get out and ride together and attend various rides and events throughout the riding season. Go to our Facebook page or text any of the members to organize or suggest a get together time / date.